Asos is one of my favorite online retailers. This awesome brand always releases awesome designs. Yet, this time it is not about the brand itself, but about the magazine and its adorable line of clothing pieces. By the way, it is Victoria’s Secret Angel, who stars in the splendid photoshoot. 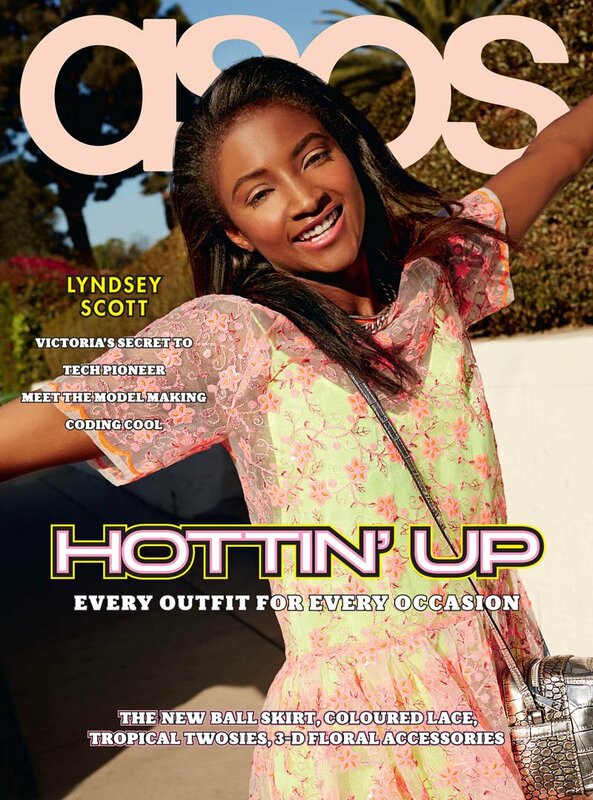 So now take a look at the most awesome outfits of Asos Magazine May 2014. Lyndsey Scott was lensed in a set of striking images featuring adorable outfits. I have no doubt that you will fall in love with magnificent collection advertised here; after all this was the intention of the magazine. I have trouble endorsing modeling as a career…I love it so much but you basically have to be a genetic freak in order to do it and most people aren’t. Some of the most beautiful girls I’ve ever seen in my life don’t get lucky. It’s the sort of career where you have absolutely no control, whereas you have complete control with programming, which I really appreciate it. In her interview, the model shares a lot of engaging information, making the issue even more desirable and engaging. I like the way she poses, as the looks release a very sunny and positive mood. People are so quick to attach stereotypes to this sort of profession. I’m fine with being called a geek or a nerd if that means I’m smart, but there is a negative connotation to that sort of word and there’s an assumption about who you are as a person if you like technology. Perhaps if there wasn’t, we’d get more women interested. Browse through the gallery to see more photos of charming Lyndsey Scott and the new issue of Asos Magazine.